Mother's Day featured a multi-channel campaign via email, Facebook and website placement with a theme of recognizing all the reasons Mother's deserve the very best. 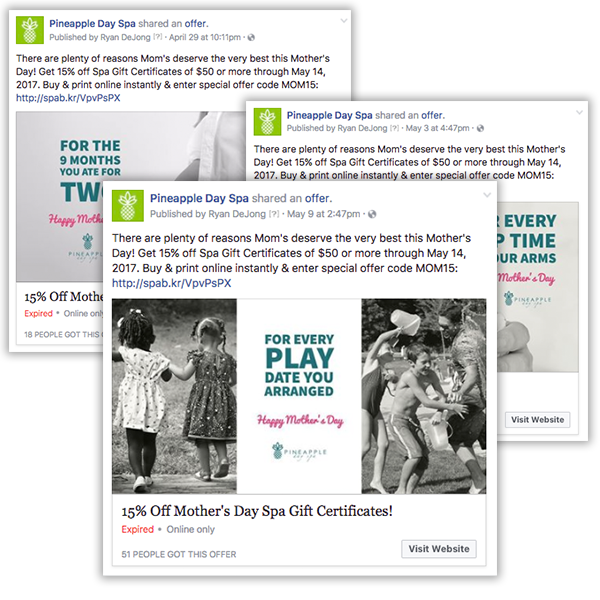 With a $350 Facebook ad budget, spent between April 29th through May 14th, this campaign reached a targeted audience of 10,570 customers, generating 145 link clicks. The end result created a return on investment of 3,892%.